The Yocan Cerum QDC Atomizer Coils are authentic replacement atomizer/bases made exclusively for use with Yocan's all ceramic wax atomizer, the Cerum. 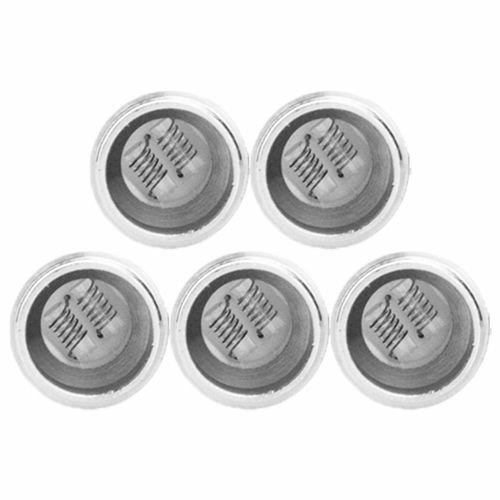 These replacement QDC atomizer coils are the same exact coils that come in the box with the Cerum device, designed for use with waxy essential oils. 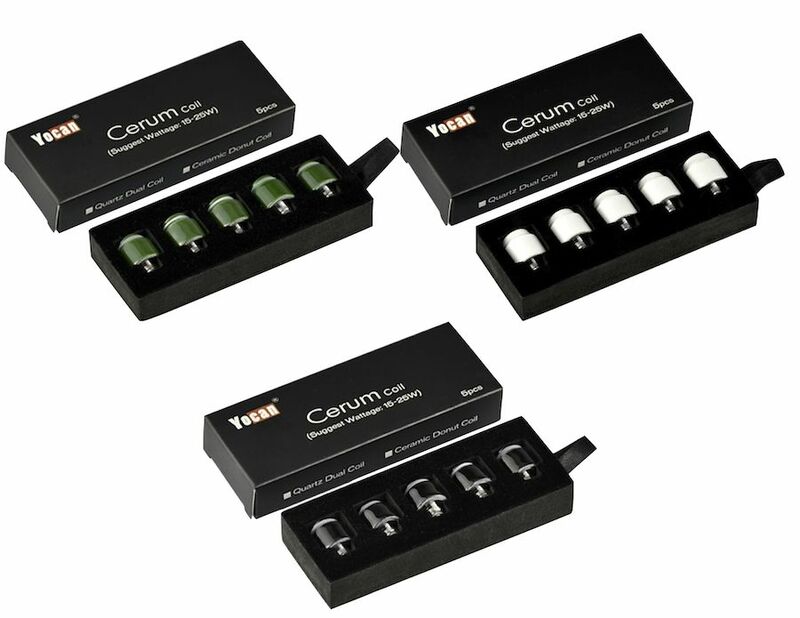 Each Cerum atomizer head features a dual coil construction that allows for use with large amounts of material and a pure glass quartz heating element is implemented to deliver the absolute cleanest quality of vapor possible. Not only does the glass quartz element provide a clean vapor, it will also eliminate the burnt taste that is often experienced with traditional fiber wicks, leaving you with a crystal clean vapor that is packed with flavor. Yocan's Cerum Atomizer Coils must be used with 510 accepting box mods and batteries that can support atomizers as low as 0.8 ohm. For optimal results, Yocan suggests use within the range of 15-25W, any higher could possible damage the device.